Product prices and availability are accurate as of 2019-04-14 12:11:59 BST and are subject to change. Any price and availability information displayed on http://www.amazon.co.uk/ at the time of purchase will apply to the purchase of this product. 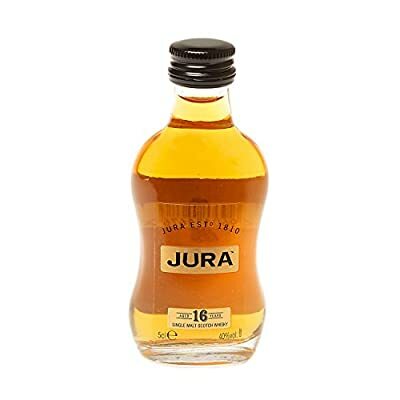 This 16 year old from the Isle of Jura was a bronze medal winner at the 24 International Wine and Spirits Competition. With the smoothness of the 1 year-old allied to extra complexity from more ageing, this is a winner. 'A delicious and sophisticated dram with impressive depth and almost perfect weight.